Discover ten (of the many) reasons to write about Rochester, NY in 2019. Rochester is the third largest city in New York State, and is one of the most arts-vibrant cities in the country. The city is in the midst of a wave of revitalization, with new restaurants, craft breweries - and even the first urban winery in the Finger Lakes - opening on a regular basis in a former industrial or commercial space reimagined for today&apos;s Rochester. Rich in history, with many unique museums and cultural organizations, there is always something new to explore in Rochester, NY. Rochester’s Revitalization. 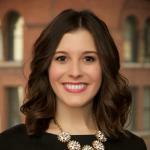 Rochester continues to enjoy a period of revitalization that has not been seen in decades. Currently, there is nearly $950 million invested in the city’s downtown, and we expect this revitalization to continue in 2019. 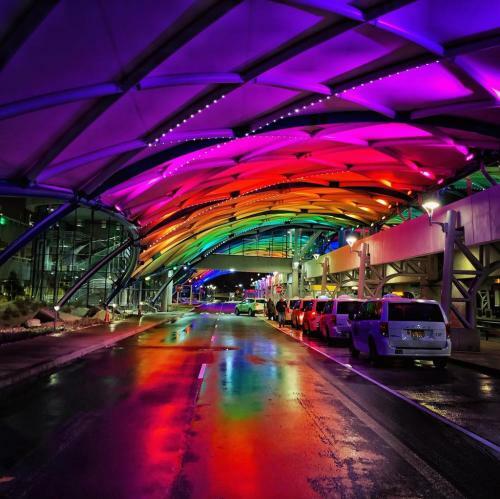 Recently completed projects include the modernization of the Greater Rochester International Airport, a multi-million dollar transformation of the Hyatt Regency Rochester and the filling in of a sunken highway (Rochester is the first city in the U.S. to do so!). Rochester: One Of The Most Arts-Vibrant Cities In The Country. Rochester has an abundance of unique arts and cultural offerings. Even though it is a mid-sized city (Rochester is the third largest city in New York State), Rochester’s arts and cultural scene is vibrant, and stands on its own, even when compared to larger cities. Rochester has been named the 17th more arts-vibrant city in the country by the National Center for Arts Research, ranking alongside large cities such as New York City, Los Angeles and Washington D.C.
Powered By Play: The Strong Museum Expansion. The Strong National Museum of Play recently broke ground on a 100,000 sq. foot expansion that will include a parking garage, hotel and mixed retail space. The expansion will also serve as the new home of the World Video Game Hall of Fame. Scheduled to be completed by the summer of 2020, the expansion will be the centerpiece of the Neighborhood of Play, an urban development that is a vibrant, walkable, green place to live, work and play. Fore! Rochester Hosts 2019 KitchenAid Senior PGA Tournament. Rochester has a rich history as a city for golfers. 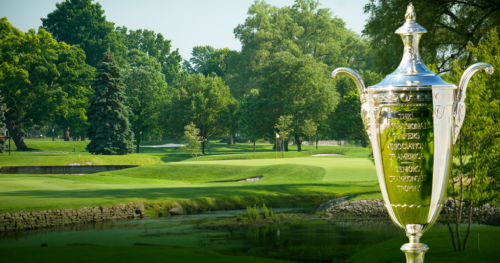 In 2019, we will welcome the return of the Senior PGA Championship, May 21-26 at Oak Hill Country Club, Rochester, NY. With 62 resort, semi-private and public courses within a 60 minute drive of the city it’s easy to hit the greens in Rochester. Rochester has been ranked one of the top cities for golf in the country, as well as one of the most affordable. ROC the Riverway. ROC the Riverway is a major new community initiative in Rochester, NY, focused on a series of transformative projects designed to revitalize and leverage the value of the Rochester’s riverfront along the Genesee River. The prospective projects include the completion of the Genesee Riverway Trail through the Center City and a redesign of several parks that are located alongside the river. The plan also envisions significant upgrades to major riverfront facilities throughout the downtown area. Cheers! 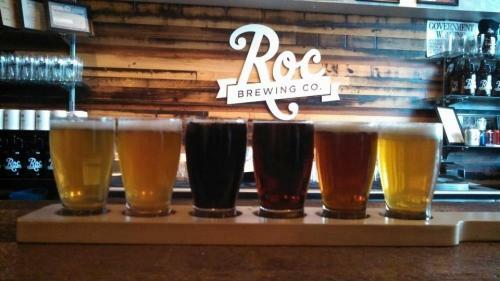 Rochester Named a Top Destination for Beer (in the WORLD!) Its official. Not only is Rochester is in the midst of a craft beverage boom, but the beer-loving community has received worldwide recognition for being a top destination for beer. Today there are more than two dozen breweries in the Greater Rochester area. Rochester is also home to the Genesee Brewery, the oldest brewery in New York State and an iconic brand. Emerging Food Scene. Like the city that surrounds it, the food and drink scene in Rochester, NY is in the midst of a major upswing. Rochester is the gateway to the Finger Lakes region – considered by some to be the most important food and drink region in North America. Rochester and the Finger Lakes are home to some of the best wineries, craft brewing and distilling, agriculture and coffee roasters in the country. Rochester’s local food scene has been greatly influenced by outsiders and transplants to the area who have fallen in love with the region and have chosen to make their mark through innovative cuisine and cocktails. New Planetarium at the Rochester Museum & Science Center. The Strasenburgh Planetarium at the Rochester Museum & Science Center recently celebrated its 50th anniversary, and to celebrate the Planetarium was renovated from top to bottom. The Planetarium features new technology that allows visitors to see Earth in real-time. Under the radar and undiscovered Rochester. While considered to be “underrated,” Rochester is a wonderful place to visit in 2019 and beyond. With its exploding food scene, museums, outdoor recreation, affordability and much more, there is no limit to what you will discover when you write about Rochester. 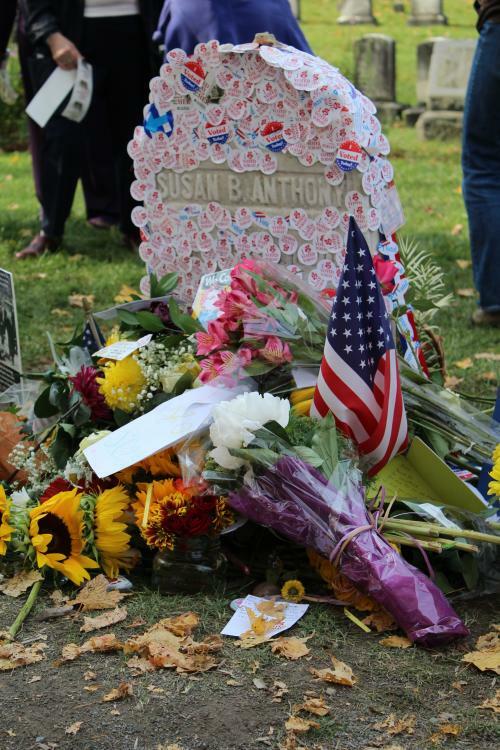 Gearing up for 2020 – the Year of Susan B. Anthony! 2020 marks a “trifecta” of celebrations for the women’s rights movement. It will be the 100th anniversary of the passage of the 19th amendment, giving women the right to vote in the US, marks Susan B. Anthony’s 200th birthday as well as the 75th anniversary of the National Susan B. Anthony Museum & House. 2020 is the year of Susan B. Anthony and women’s rights, and nowhere else in the United States can you better tell that story than through Rochester, NY and the Finger Lakes.